In a sea of smartphone sameness, there are very few outliers, that can still boast a unique angle of their own. Most of TCL's lineup still proudly fits into that category. Understandably, all the turbulence and leadership change in recent years did result in some plain devices, like the DTEK models. On the flip side, devices like the Keyone embody the classic BlackBerry spirit in full. 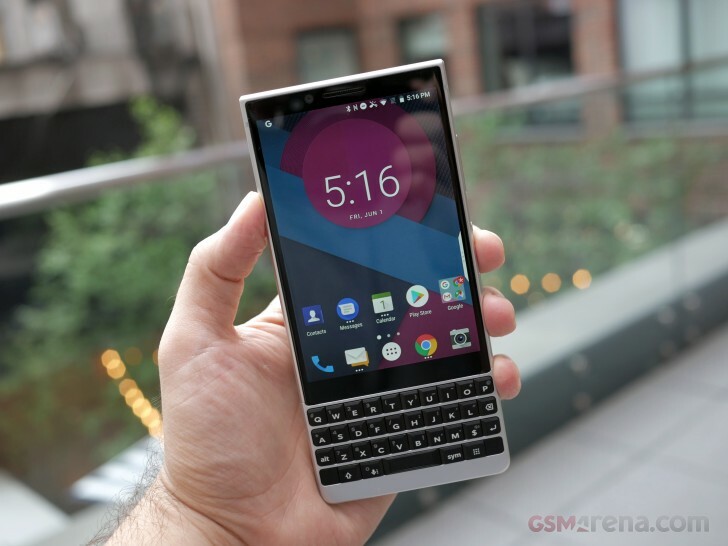 Meet the BlackBerry Key2 - a modern 2018 mid-ranger, that is distinctly classic in its looks and mobile philosophy. It's an incredible mix of old and new, unlike any other. Duality seems to be in the very essence of the Key2. In an industry fighting against physical controls, it offers a full querty setup, complete with advanced swipe gestures and even a new Speed Key for shortcuts. Even keeping the capacitive navigation buttons in place. The Key2 also openly rebels against the norms of the day, opting for a metal, plus rubber build, over the trendy, but fragile glass sandwich fad of the day. As unique as it seems on the 2018 scene, the Key2 actually borrows a lot from its Keyone predecessor. Even at first sight, BlackBerry fans will instantly note it's somewhat of a refined version of the original, a 2.0, if you will, rather than a fresh new device - yet another tradition, deeply embedded in the brand philosophy. Having said all that, the BlackBerry Key2 also strives to be a modern device. All the design refinements have a distinct 2018 look, without breaking the classic look. The KeyOne's surprisingly good camera experience has been significantly improved thanks to a trendy dual 12MP setup. And on a software level, Android 8.1 Oreo and a tight update plan make for an up-to-date Android experience. But also a secure and familiar one, thanks to BlackBerry's ongoing effort to deliver and support classic BB software experiences and security features in a new Android environment. We had the pleasure of playing around with the BlackBerry Key2. Join us on the following pages, as we explore the new, the familiar and the refined. Is it just me, or the dual cameras in the back look like two very tired eyes? What about rumors key2 lite. I hope blackberry gonna release a blackberry classic or blackberry torch 9800 with oreo go or something! I impossible to have ip67 in pkb phone.